Smith & Wesson N Frame Grips. 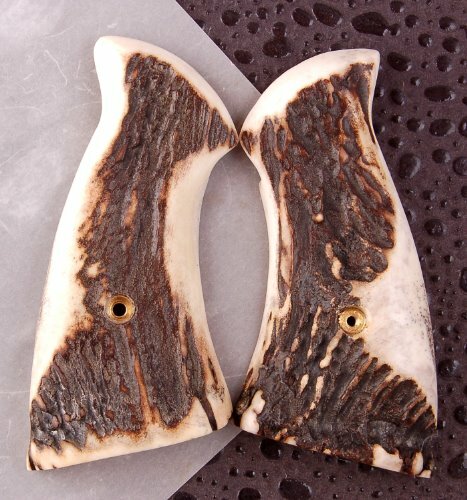 Stag grips for the popular Smith & Wesson N frame. These are the traditional grip style design. A very comfortable grip and shoots well. Upgrade your favorite N frame with plain, factory grips to a custom grip that points well, gives great control and has a unique look. Maral stag is a very dense antler. Dense enough to hold up to the magnum cartriges of the N frame revolvers. Very nice colors and texture in a natural stag material. If you have been looking for a set of stag grips for your N frame, these are the ones.